The wife of Matt Lauer has kicked him out of the New York home they were sharing, according to a new report. 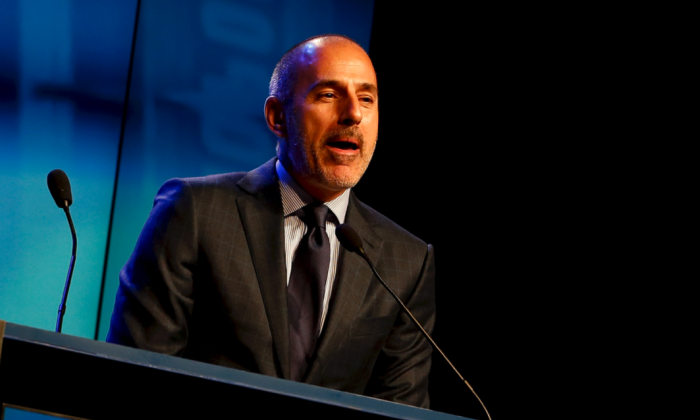 Lauer was fired from his prolific “Today” show co-hosting gig in November after allegations of sexual harassment emerged. Lauer, 60, was accused of harassing a colleague during the 2014 Sochi Winter Olympics. He first started working for NBC in 1992. Lauer was living in a home in the Hamptons in Long Island, New York before being asked to leave by his wife Annette Roque, a model, reported Page Six. Citing a source, the outlet said Lauer is now staying at another home nearby so he can continue spending time with the couple’s three kids. A source also told the outlet that Lauer and Roque are likely to divorce soon. “They have been living separate lives for a decade, with Roque remaining at the couple’s properties on Long Island while Lauer lived in their Park Avenue apartment during the week. But a source close to Lauer … said that since he was fired, he has been fighting to save his marriage, although Roque ‘is being very cold,'” the outlet added. The news comes days after Ann Curry, Lauer’s longtime co-host at “Today,” said sexual harassment was “pervasive” at NBC. “I can tell you that I am not surprised by the allegations,” the 61-year-old said during an appearance on CBS.